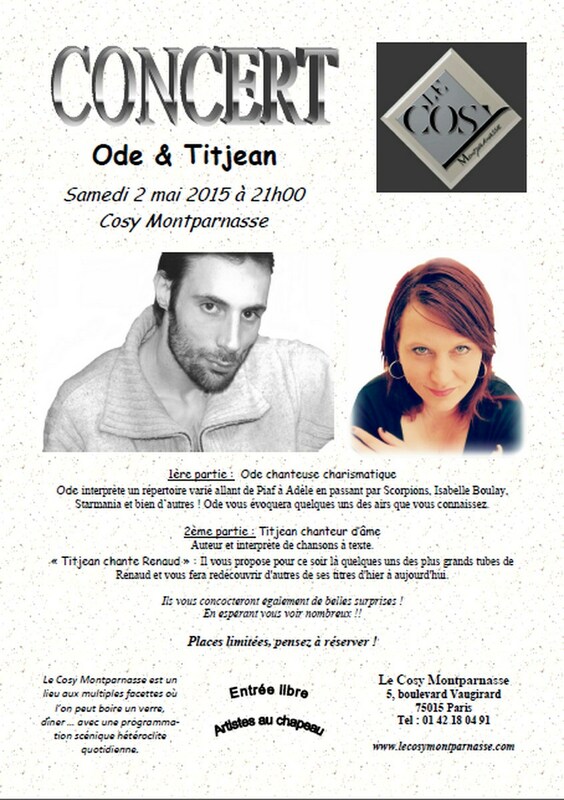 Ode and Titjean in concert on Saturday, May 02nd, 2015 at 9:00 pm in Cosy Montparnasse (Paris) ! 2nd part : Titjean sings Renaud: some of his biggest tubes and rediscovery others of his titles of yesterday in today. Will also concoct you to us of beautiful surprises ! By hoping to see you numerous!! For the artists: in the hat! Cosy Montparnasse is a multifaceted place where we can have a drink, have dinner with a programming heterogeneous daily scènique.